The simulation linked below may not work on all devices or computers. 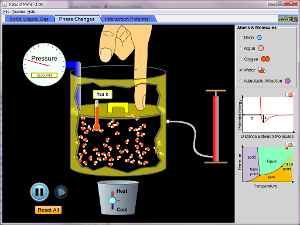 It is however, a fantastic simulation which allows you to see how varying temperatures affect the molecules in various substances. Visit StudyJams to watch a video and take a quiz about mixtures.